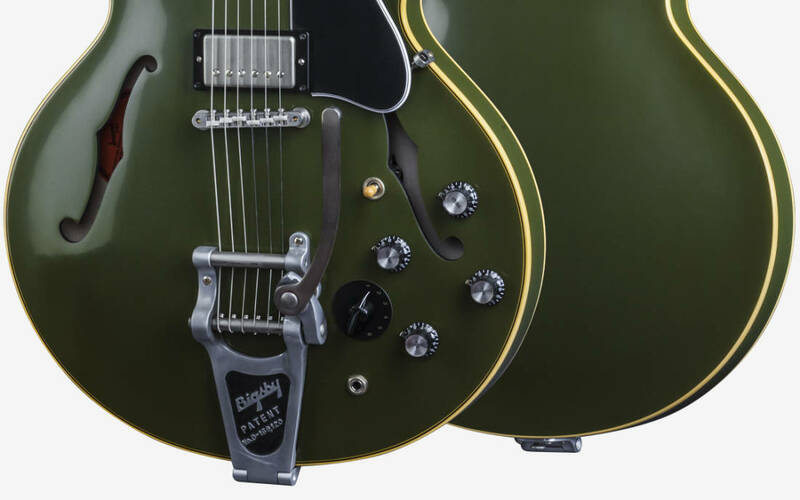 The 2016 Ltd Edition 1964 ES-345 Olive Drab Green VOS is a historically accurate re-creation of this much loved semi. It comes in an exotic alternative vintage finish that never made it to the originals of the '60s. 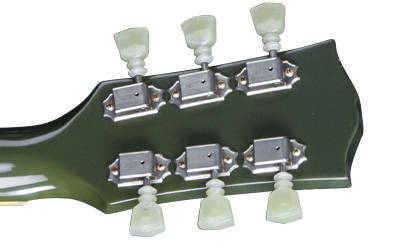 That's complemented by split parallelogram fingerboard inlays and period-correct plastics, hot hide glue neck and body construction, matched potentiometer sets, rolled fingerboard binding and a great set of MHS humbuckers for true PAF tone.